Table 1. The following table shows summary statistics for PM10-2.5. The first column identifies the county and site name; the second column shows the number of valid samples; the third column shows the percentage of these samples for which negative concentration values were computed; the 4th through 7th columns show indicated percentile statistics, 25%, 50%, 75% and 98%; and the 8th column shows the arithmetic mean value. 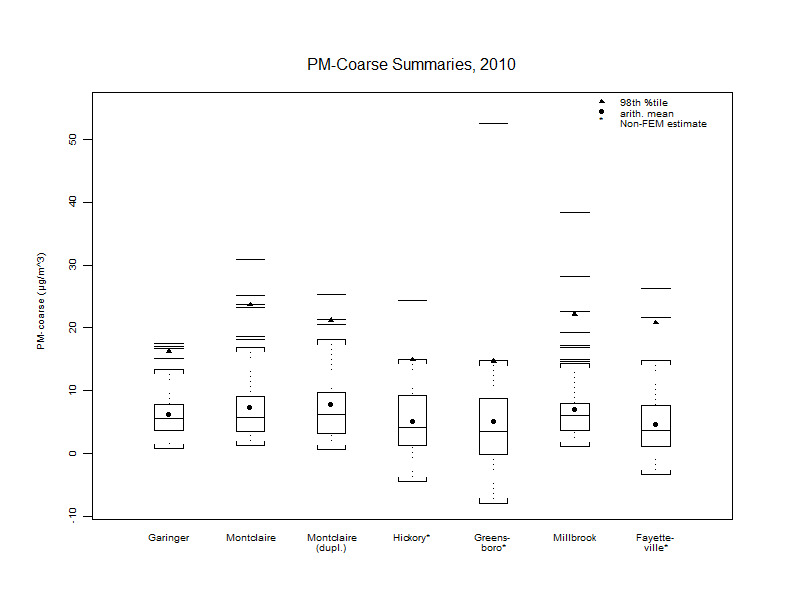 * Computed using nonmatching PM10 and PM2.5 monitor methods.